There is no doubt that there is now massive global interest in golf. Just think of the millions of players around the world and huge, money-spinning tournaments for the pros. This is currently one of the most popular sports on Earth. In this article I’m going to be sharing a proven Golf Betting System. Many golf fans enjoy adding some extra spice to watching the tournaments by betting on them. 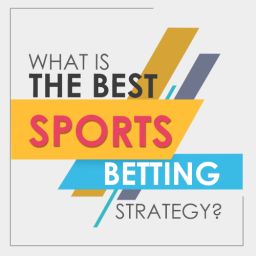 Of course, this is similar to other types of sports betting. This means that beating the bookies is incredibly tough. Efficient odds and the unpredictability of the sport mean that most punters lose money time and time again. Yet, what if you could use a reliable golf betting system? What if there was a way of betting on this sport knowing that you just can’t lose? It sounds too good to be true. But there are services that promise to let you wager on golf with far more confidence. Let’s try and understand how they can do this. We need to look at how golf betting can be carried out in the smartest possible way. How can you turn the tables on the bookmakers and put the odds in your favour at last? Despite the huge differences between horse racing and golf, there are betting techniques that can work on both sports. 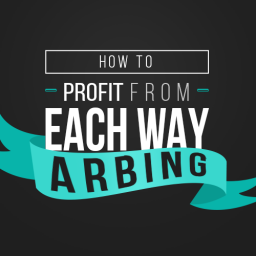 One of the most popular – and profitable – is called each way arbitrage. It is also known as each way arbing. 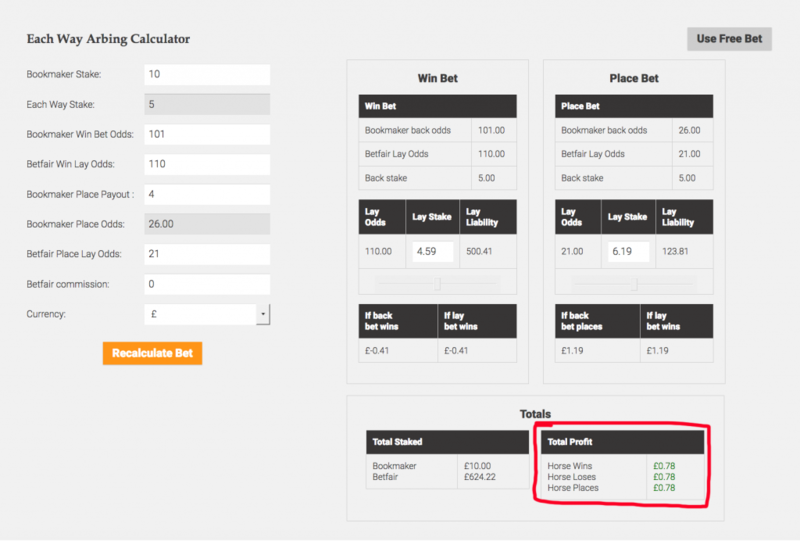 This is a clever betting system that exploits a bookmaker pricing loophole in each way bets. The bookies pay more for the place than the win-odds imply they should. 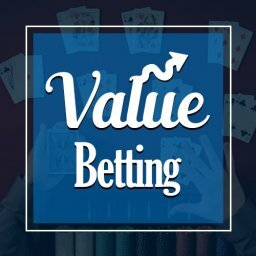 You can use this approach to find value each way bets. The starting point with each way value in golf is by backing one of the players. This is done on an each way basis. This means that you will win if they are the overall winner of the event. However, you will also win if they finish in one of the top places, such as second or third. This means that if your chosen golfer wins the tournament then you win the whole bet. What if they don’t win but finish in one of the places? Then you win the place part of the bet and get a smaller return. If they finish outside the places then you lose your money. Let’s say that you want to bet on Phil Mickelson at the US Open by using this strategy. You collect on the win element of your main bet if Phil finishes in top place. If he finishes in the places (such as second or third) then you win the place part. How Do the Odds Stack Up? Right, so we can now see that each way value can work on golf bets. This is great news, but can it win you money? Isn’t it the case that the amount you need to bet on each of these outcomes rules this out? Won’t it wipe out your profits in most situations? Well, this really depends upon the odds that you can get. To make this work and earn you money, it is crucial that you choose the right bets. The odds need to stack up perfectly to give you value bets. In this case, the bookie’s odds don’t represent the true odds of something happening. Naturally, this means that each way value isn’t suitable for every golfer in every tournament. Indeed, there are very few situations in which you can make money in this way. Yet, it can be done if you go about it in the right way. Therefore, the secret is in choosing the right golfer at the right price. 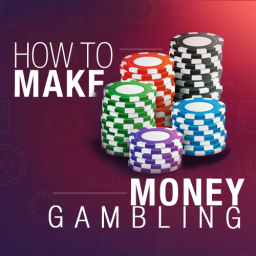 You then need to work out the odds and the stakes very carefully in order to maximise your winnings. As you can imagine, trying to do this on your own and work out the right odds is tough. It could easily turn into a full-time job. It is just too complicated for most people to do without some extra help. This is why most people turn to a Golf betting system. It is in order to improve their chances without too much effort. 1) Read the guide on the each way loophole here, it will explain the basics. 2) On Tuesday check Oddschecker golf markets for bets. The reason I say Tuesday is the markets are full of liquidity by then. 3) Run the available players through the calculator. If any of them show green figure then they are a selection. Always check the Oddschecker selections marked in bold as they are top price. Enter the odds in to the Each Way Calculator. Betfair Commission: 5%. Enter 0 if using the value system. As you can see from the image above, the bookmakers win odds are lower than the Betfair lay odds. However the place odds are higher than the Betfair lay odds by a fair margin. 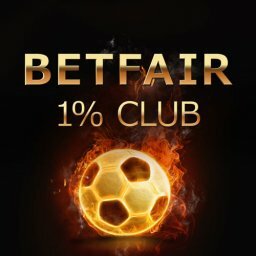 Due to the bookies place odds being connected to the win odds (1/4 odds in the example above), you can secure value. The each way bet is beating the very efficient Betfair exchange odds. 4) You have 2 options for placing the bets. – You can place a straight Each Way Bet with no lays. This is a value bet. You obviously need to place a large enough sample of these to let winnings & losses balance out and the value come out. 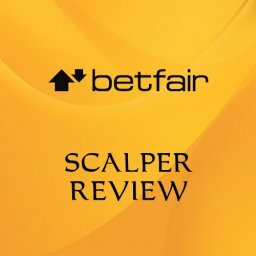 – You can lay the bets off on Betfair to create an equal profit whatever the outcome. The downside to this is the liability required will be high. Personally I’d go with the Each Way Bets with no lay option using small stakes & sensible bank management. 5) If you don’t want to work the bets out yourself, this software will do it for you. How can you be sure that your chosen bet is going to pay off? We use the Each Way calculator to find out if the bets have any value. With this tool you just plug in the figures. Such as the odds and how many places are on offer. You can then see exactly what you stand to win with each potential result. This is a very simple way of seeing the chances of claiming a good value bet. The odds might not stack up well enough in your favour. Then you can look for another bet. Repeat the process of plugging in the figures to see whether this option is better for you. In this way, you can very quickly check out the true chances of winning. You can do this on a large number of bets in little time. If you are looking at the players in a big tournament then you will have lots of options. You will want to be able to work out easily your options. What Systems Use This Technique? There are some golf betting systems that you can use to make life easier for you. These sites will typically charge you a fee for giving you tips on the latest golf events. 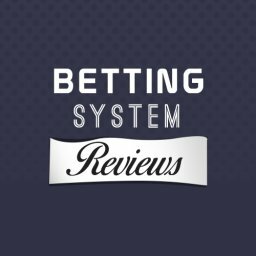 Both of these systems are using the same Golf Betting system described in this article to find the selections. They aren’t all equally impressive or with equally good track records, though. Why is this the case? Do they all use the same each way value approach? If so, then they should all give you similar tips, right? The truth is that a lot comes down to how they find suitable bets in the first place. Fairly complex calculations are needed to do this. Not everyone does it in the same way. Even a slight difference in how the bets are calculated can end up making a big difference. It should be pointed out that most golf betting tipsters won’t give you access to a calculator tool. In fact, it is likely that they don’t even tell you how they came to their tips. You might be left thinking that their selections are based purely on their own experience of the sport. So, what are the most reliable systems for betting on golf just now? The following are a couple of tipsters that you might be interested in taking a look at. This highly-rated golf tipster is part of the popular Betting Gods platform. The man behind it is Craig. He has been on the site since the start of 2016. His impressive track record includes big wins at odds of up to 125/1. If you sign up here then you will get around 30 to 40 tips every month. However, they are all gathered together in convenient weekly emails. These are sent to you on Tuesday mornings. This should make it easier for you. You can work out how to go through them in a way that suits you. The total profit produced since January 2016 is listed as £7,991.40. This works out as a monthly profit of £266.38. The strike rate is listed as 28.98% and the bank growth as a decent 159.83%. The average odds on Golf Betting Expert are stated on the site as 99.00. The monthly cost for this service is £50. Although the first 10 days only cost £1. If you choose to pay for a quarter then this is £100. The annual fee is £350. As is normal with Betting Gods, you get a 30 day trial period with a money back guarantee. Reviews of this golf betting service are generally positive. A lot of people have made good profits off it. How do they find their selections? 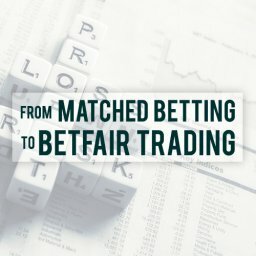 Using the Each Way value strategy described in this post. Don’t believe me? Take a trial and you will see! The Betting Bias site was founded by Simon Miller and has been around since 2010. 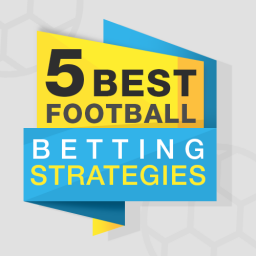 Their stated aim is to educate punters so that they can bet more effectively. Regular tips are given on this site, covering a variety of sports. As well as golf, they cover football, horse racing and other sports. 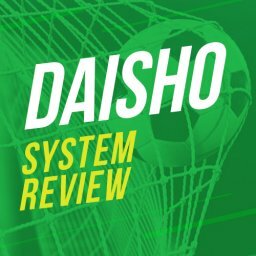 Their range of free tips gives some decent insights into the upcoming tournaments and who might win them. They have enjoyed some really big wins in recent times. Such as their tip Smylie Kaufman winning the Shriners Open at an impressive price of 250/1. 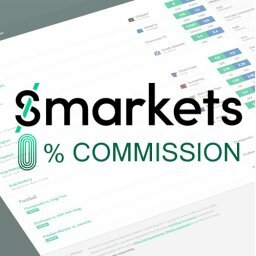 They have also had their fair share of losers but overall the reviews for this service are favourable. You can simply read through their site to pick up their free tips. It is also good to see that you can check out their tips archive on there too. That lets you see very easily how much success they have had in the past. As with most free tipster services, what they offer is a bit more limited than with paid services. Yet, their good track record means that this is a site that it is worth taking into account. If you are just starting out and want some free golf tips this is a decent place to begin. Even if you get your golf tips in another way, this site has some good reading material on it. Do you just love reading about golf? Then you will find interesting new articles posted on here regularly. Why Use a System Like This? To put it simply, each way value on golf bets gives you the best possible chance. It is a way of winning money from the bookies. 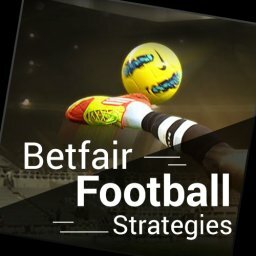 You are using a proven mathematical approach to give yourself an unfair advantage when betting. If you just want to win as much money as possible this is a smart way of doing so. Having said that, what if your main attraction is the thrill of betting? The good news is that this is still something you can enjoy. It can add a real spark of interest when you are watching golfing tournaments. Whether you are watching the television or just following the results, you can enjoy the action more. When the first ball is hit you will have no idea what happens next. Which of the different possible outcomes is going to come to pass? Will your chosen player play great golf and win the event? Perhaps they will do well and finish in the top places? Otherwise, they might have a poor time of it and finish further down the leaderboard. Each of these outcomes will give you a different return. Therefore, you will be cheering for the result that makes you most money. In the majority of cases, the final result won’t be known until late into the final day. Most likely after a lot of twists and turns. There is no reason why you can’t be on several different selections to improve your chances of winning. Can I Use This Golf Betting System? Both of these golf betting sites use the same mathematically based loophole that we looked at earlier. They are both rated highly. But what if you want to exploit each way value on golf without them? I have already looked at each way arbing before. This is the exact same system that these sites use to provide their tips. 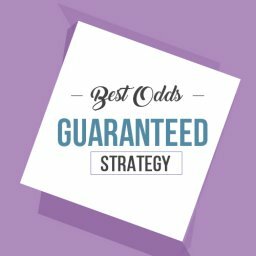 In that article, I explain exactly how you can work out the odds to make smarter bets. The principles for each way betting on golf are the same as they are for horse racing. You can see exactly how to work out the chances of winning here. This means that there is no need to pay an expensive monthly fee for a golf betting system. My software lets you work out exactly how much you stand to earn from each bet. I’ve given you a very simple but highly effective Golf Betting system that really works. 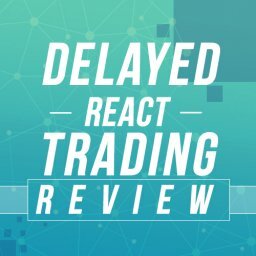 Providing you are prepared to see through enough bets, this will bring in good profits overall. The only reason it works is because of the each way betting loophole. 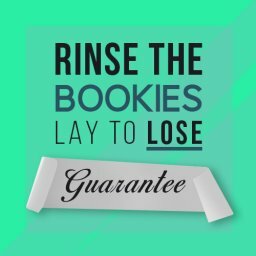 The bookies pay more for the place than the win-odds imply they should.This allows you to secure value bets.